The House of Blues knows how to party. As if July wasn’t hot enough with acts like Khalid bringing the fire, they have a stacked lineup for us this August. 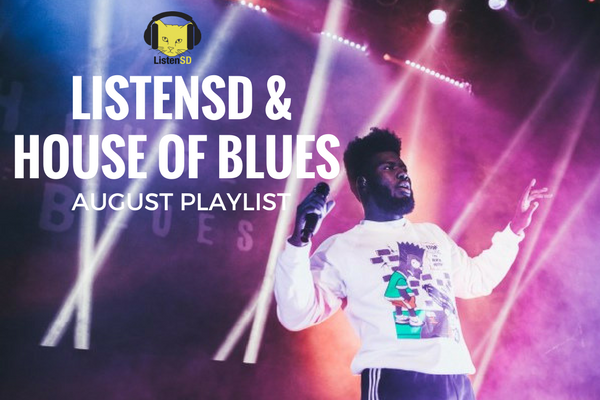 With their eclectic lineup filled with rock, pop, hip-hop, latin and everything in between, we know you’re sure to have a good time at House of Blues. Not to mention their dinner menu is to die for – check out our dinner and a show feature that’ll make you drool if you don’t believe us. This month we super stoked on upcoming shows like P.O.D & Alien Ant Farm (8/4), Gente de Zona (8/11), 2 Chainz (8/12), Vesperteen (8/20), and August Alsina (8/25). Be sure to follow House of Blues San Diego & ListenSD on social media to keep up with the latest announcements, win ticket giveaways, and more. Previous ArticleIggy Pop, Ty Segall, Sleep + more join Desert Daze 2017 lineup!